For the third year in a row, LG has built a smartphone for those who put filming first. The LGV30 packs more options for mobile cinematographers than any phone on the market, which goes a long way towards making up for its few but important flaws. I'm Michael Fisher, and I've spent nearly two months with pre-production and retail versions of the LGV30, so I'd say it's time for the Mr. Mobile review. (techno music) In the hand, the V30 is nothing like its predecessors, which were brawny, metal blocks better suited to toolboxes than tuxedo pockets. The V30 is glass on glass, delicately rounded and almost too light, coming in at about five grams less than its close cousin, the LG G6. Despite that, it somehow retains the durability rating of its predecessors. Sure is prettier to look at though, with two panes of Gorilla Glass 5 bracketing an aluminum mid plate. The camera is protected by a sheet of Gorilla Glass 4, and the whole thing is sealed against dust and water, so you can get submarine shots like this one. And before we dive into that camera though, there's another standout here that deserves a word. LG didn't just buck the trend by leaving in a 3.5 millimeter jack, it went full Brooklyn vinyl collector and threw in a specialized hi-fi DAC to go with it. As I've often said, my ears just aren't fine tuned enough to tell you whether the V30 is gonna make a true audiophile happy, but even I can tell the difference when I plug in a headset, kick on that quad DAC. TLDR, it makes your sound sound great. Most people who pick up the V30 though, will do so for its camera, and, when it comes to features, it delivers. By far, my favorite thing about LG phones is that they utilize dual camera systems in an interesting way. Almost no one else offers an ultra-wide angle secondary lens and no one has optimized it the way LG has. On the V30, that means a 30% reduction in that fish eye lens distortion compared to the G6. And that wide lens is insanely useful for close quarter situations where you can't get far enough away from a subject, or scenarios where you just want to punch up the drama a little bit. The versatility it grants you as a photographer is addictive. You also get a full ray of manual controls, so you can do artistic long exposures of traffic or chasing waterfalls. Most flagship phone cameras offer manual controls these days, but LG makes it a bit less intimidating for the beginner with a kind of photographic assistant called Graphy. Push the button, and it gives you suggestions on which presets to use and warns you if you're under- or overexposed. So you're learning as you shoot. Those manual controls only get more powerful in the camcorder. To be clear, we're not yet at a place where the video quality from a phone equals what you can do with a DSLR. But, recently, I've been using every excuse I can to leave my 15 pounds of camera gear in the studio and stick to a phone, and, when I do so, having the option to shoot in log or do color grading in camera is pretty amazing. It's actually overkill for me. During my time with the V30, I mainly stuck to simpler features like cine-zoom, which lets you target a subject anywhere in the frame and smoothly crop over to it. Okay, let's talk about the drawbacks though. For one thing, LG is using a lower resolution sensor with a smaller aperture for the wide angle, so it's not as good in low light, and it's also not optically stabilized like the primary camera is. Also, why the camera app is performant overall, there is an occasional bit of shutter lag that causes it to take just a little too long to complete a capture. Oh, and, for selfies, well, tell them, other me. I think the best way to characterize the V30's selfie camera is not bad, which, you know, is good, by definition, but, on a phone specifically designed for Generation V, I would have liked to see better, a lot better. If you want to see for yourself, here are some front-facing camera samples. In adequate daylight with no hand motion, you can get some plenty fine selfies, even without using the artificial face brightener. But take the V30 to a dim bar after sunset and you'll wish LG had spent more time on the front side here. I'll be wrapping up here in a second, so I'm gonna take a sip of water, and let you soak in some more primary camera samples. And hey, if you decide you dig this channel while you're checking these out, feel free to hit that subscribe button. I'd love to have you. (light techno music) The rest of the V30 is really quite solid. For a battery that's just on the high side of average, this one can still see you through a heavy day, unless you're constantly using that power-hungry camera. Then you'll need to top it up, which you can do either wirelessly or not. I usually ended a 16-hour day with more than 25% left. I need to take a bit more time to get a feel for screen on time though because most of my time with this phone was spent with the pre-release model. I've only had just over a week with the production model. I'll follow up in the comments. Phone calls were plenty crisp and clear on AT&T with good enough noise cancellation to let Amtrak's automated agent hear me clearly, even over loud train station announcements. Oh, and I know the display has been a point of contention, and no, it doesn't measure up to, say, Samsung's screens, but I've got pretty good eyes, and I never found myself wishing for a better screen. If you think your eyeballs differ, do yourself a favor, check this thing out in a carrier store before pulling the trigger. The thing that fell flattest for me on this phone was the software, which just doesn't bring enough utility to justify its existence over stock Android. Those who liked the secondary display of the V20 probably won't find the new floating bar shortcut all that useful. Android Police called it a consolation prize, and I think that's accurate. Meanwhile, Android Central's review says that LG's visual design is slowly crawling in the right direction, and, while I agree with Alex that this is the best LG UI yet, it's still not polished enough to do this beautiful hardware justice. So I've stuck to Nova Launcher to simulate a near stock experience, and I wish LG would consider moving in that direction with future phones. On the plus side, the new always on display is great, and the fingerprint scanner is one of the fastest I've used. At around $800, the V30 is one of the most expensive Android phones on the US market. Given that premium pricing, I just don't understand the compromises LG made on the front-facing camera, which will alienate the very vloggers and snapchatters this phone was ostensibly built for. But, if you can get over that, the V30 is the only camera phone on the market that gives you this much camcorder capability in one package. On top of that, it's a pretty great smartphone. If you want a similar camera at a more palatable price point, check out the LG G6, particularly if you're focus is on stills. But, if you want an Android phone with the most versatility in mobile video, stick to V30 and your gimbal. I don't think you'll be let down. The V30 is on sale now, and, if you've bought one, share your best LG V30 photos on the Mr. Mobile Facebook page or just drop your thoughts in the comments below. 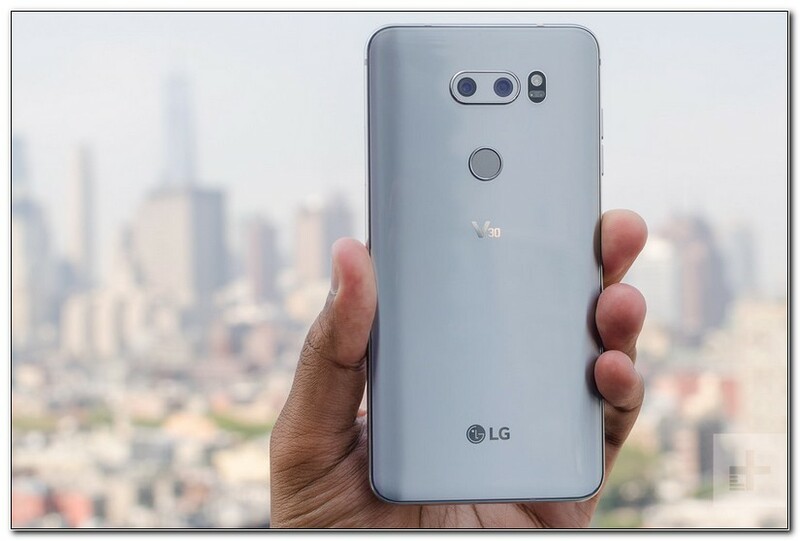 0 Response to "LG V30 Review: The Best Video Phone (With One Big Exception)"